Stress: Is It Your Major? College life is full of new experiences and discoveries, deadlines and demands. For many students, this way of life can cause feelings of anxiety and stress. Stress isn't always bad, however. In small doses, it can help motivate you to do your best and perform under pressure. But when you're living in a perpetual state of emergency, your mind and body can pay the price and you can start to feel out of balance. Stress is cumulative. Your early signs of stress may include headaches, irritability, nervous stomach or disrupted sleep. Once you learn to recognize your own early warning signs, you will know that these symptoms are your body's way of telling you to slow down and find a way to de-stress. If you do not heed the warning, your stress and anxiety can continue to build and cause serious disruption emotionally, physically, academically and socially. Stress can impact your relationships, your ability to concentrate or communicate, and it can have a negative effect on your immune system, making you more prone to illness. The good news is that you can protect yourself by recognizing the signs and symptoms of stress and taking steps to reduce its harmful effects. What is the difference between anxiety and stress? 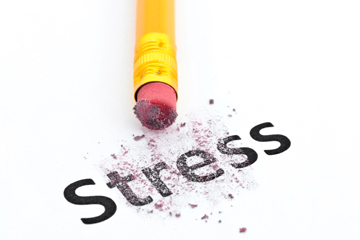 Stress is the normal physical response that you have when you are faced with a challenge. Anxiety, on the other hand, is a different condition altogether and is more similar to constant fear. It often occurs for no identifiable reason. For some people, worry and anxiety can become overwhelming and disrupt their quality of life. Excessive and lasting bouts of worry may reflect an anxiety disorder and will require different treatment. See more about Anxiety Disorders and Panic Attacks. Stress affects every aspect of our lives. You may experience mental, behavioral, physical and emotional symptoms. While these symptoms are common during stressful times, people with anxiety disorders may experience them in absence of a stressful experience. Eat a healthy diet. Sugar and processed foods can make stress worse. Exercise regularly. Find movement you enjoy that allows you to release tension. Learn deep breathing/relaxation techniques like these One-Minute Stress Strategies. Pay attention to negative self-talk. Meditate, for example with Mindfulness-Based Meditation. Avoid using Alcohol or Other Drugs in an attempt to relieve stress. Manage your time and energy -- you can prioritize your "to-do" list based not only on time but on your energy for the task. Laugh! Watch a funny movie or try Laugh Yoga. Take time for relaxation, fun and hobbies. How about music or dance lessons, yoga or crafts? See Rejuvenation 101 and Fun Things to Do in Ann Arbor for Peanuts. Students often feel as though they should be able to cope with everything. If excessive worry and stress is impacting the quality of your life, it is time to get help. A mental health clinician or a physician can help you identify a variety of treatment options that can help you find relief.  There are a number of resources available on campus that can help you gain a better understanding of the ways stress and anxiety impact you.